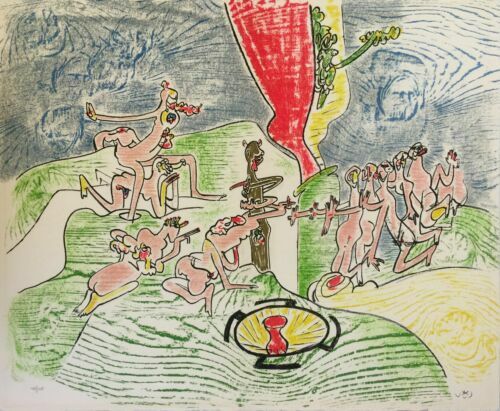 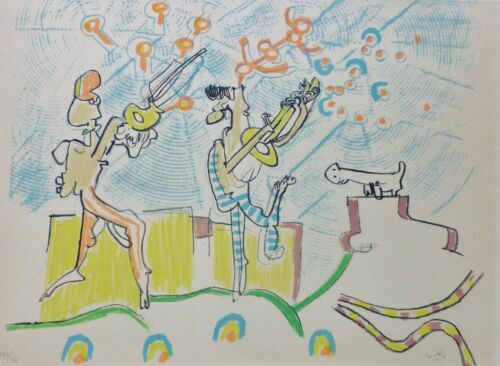 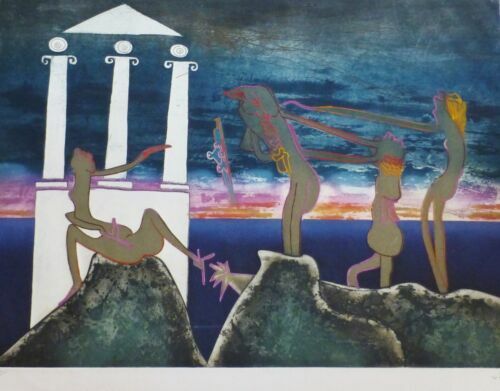 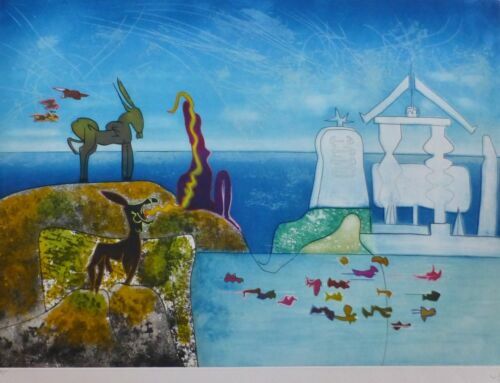 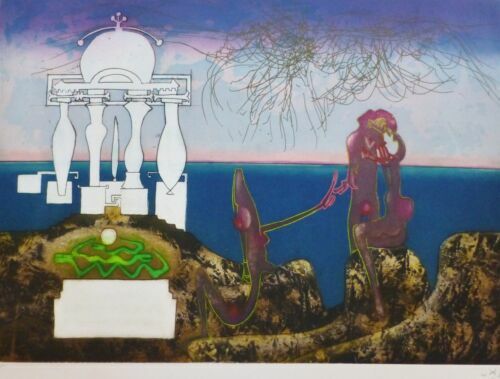 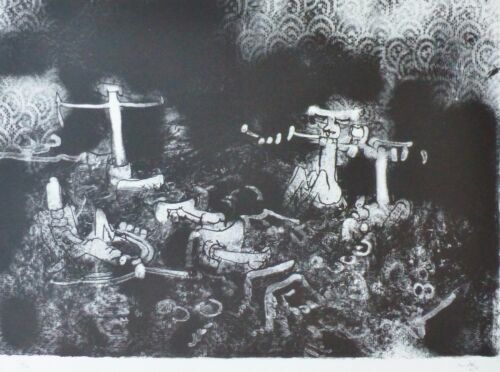 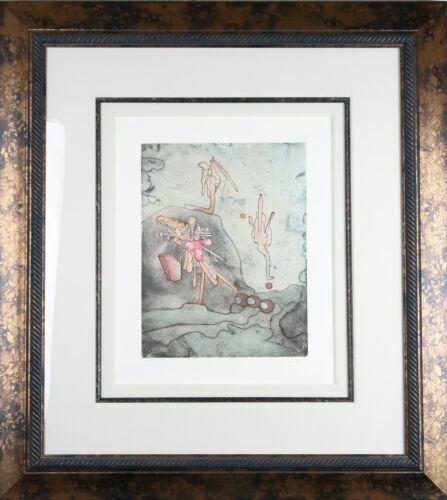 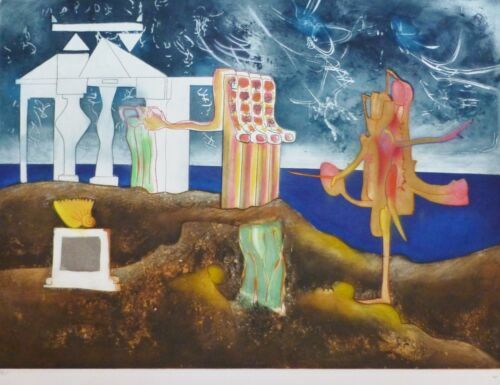 Original Signed Numbered Framed 1964 Roberto Matta Aquatint Etching "Les Voix"
ROBERTO MATTA HAND SIGNED SIGNATURE * PSYCHOLOGICAL MORPHOLOGY * PRINT W/C.O.A. 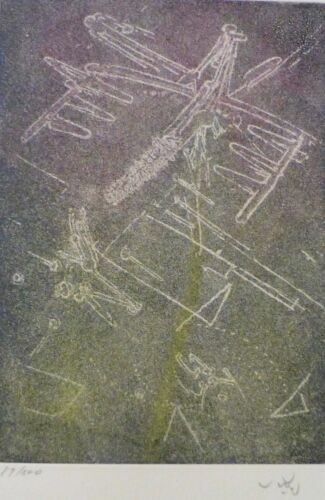 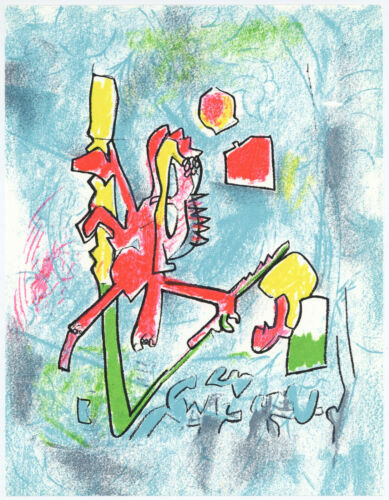 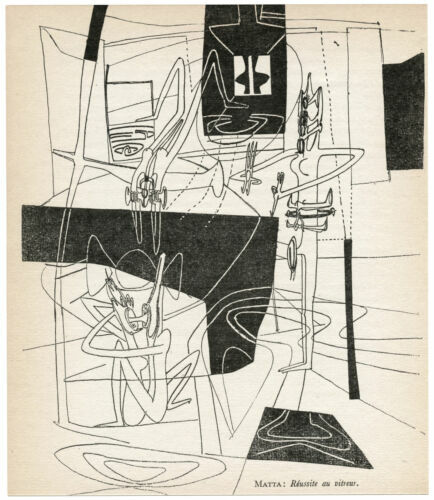 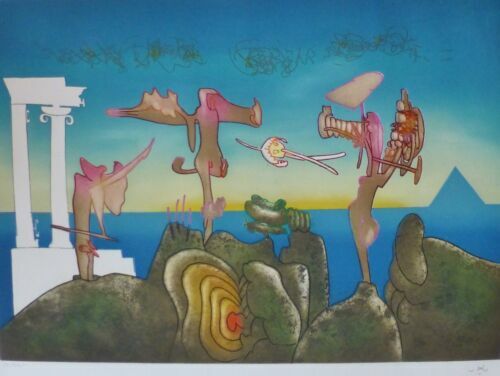 "Station Spatiale" by Roberto Matta Lithograph on Paper LE of 200 30" x 22"
Serigraph by Roberto Matta. 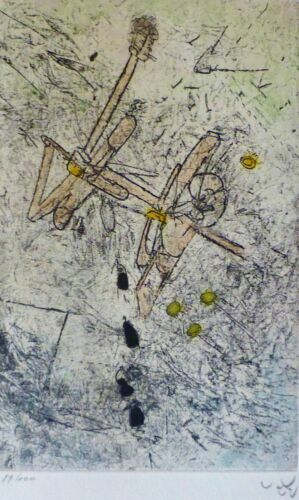 Tema Futbol, n/d. 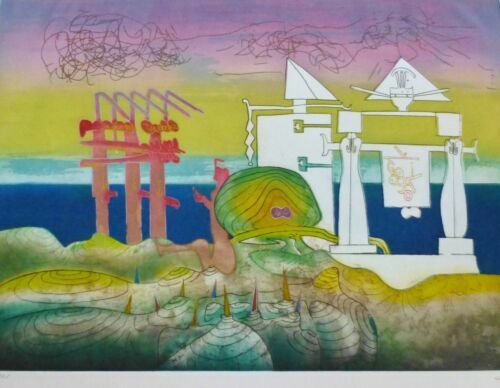 Serigraph on high quality paper. 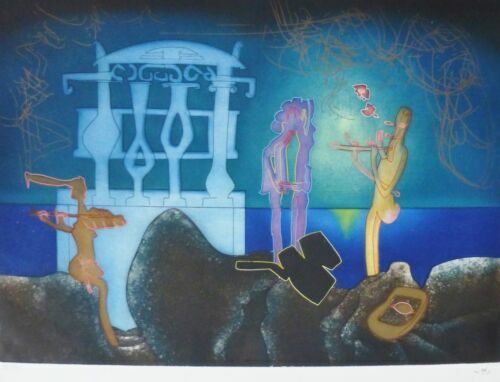 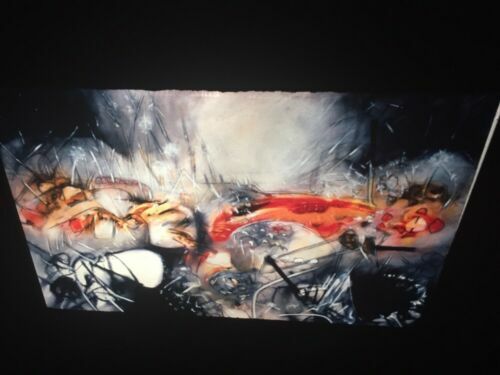 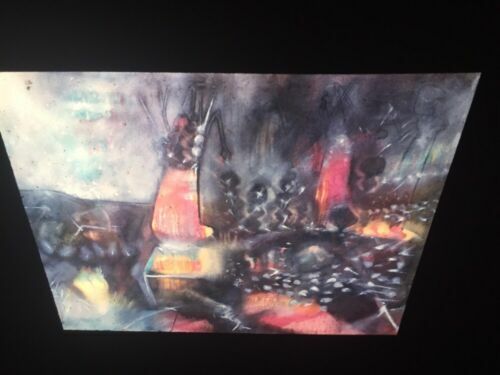 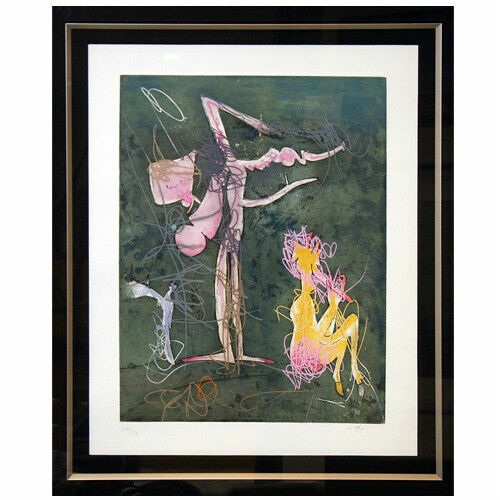 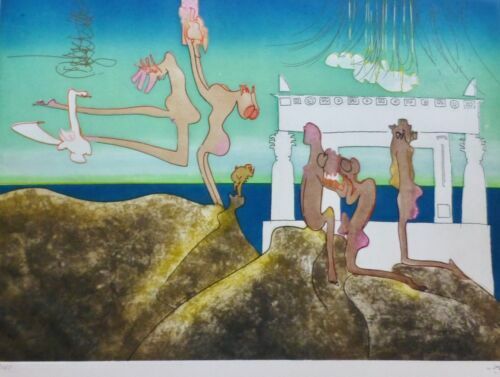 ROBERTO MATTA HAND SIGNED SIGNATURE * THE VERTIGO OF EROS * PRINT W/ C.O.A. 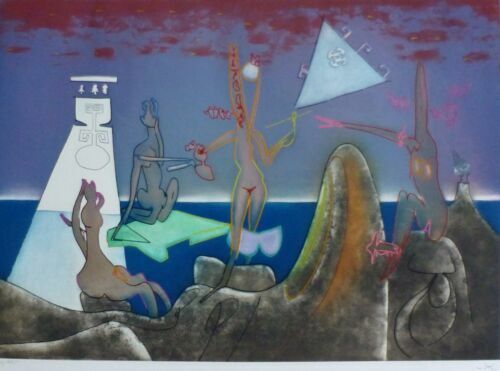 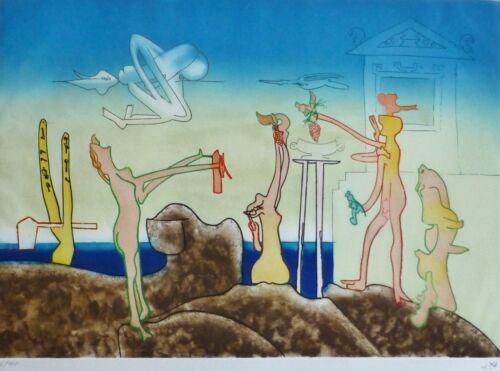 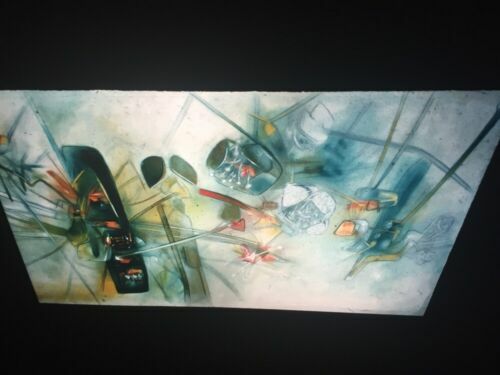 ROBERTO MATTA HAND SIGNED * PSYCHOLOGICAL MORPHOLOGY OF TENSION * PRINT W/C.O.A.